When Arkansas Industrial University was established in 1871, Albert W. Bishop was appointed one of its trustees and also named treasurer of the university. Bishop received a Bachelor of Arts from Yale University in 1853. 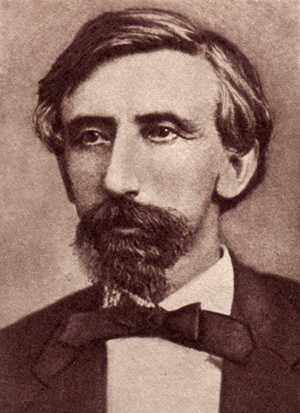 He came to Arkansas as captain of the Second Wisconsin Cavalry Volunteers during the Civil War, commanding the post at Fort Smith after the Union Army had secured it. During the post-war Reconstruction, Bishop was appointed the register in bankruptcy for the 2nd District of Arkansas and held that office until he was appointed president of the university. Old Main opened under Bishop’s tenure as president, and the university received its first national press, a brief mention in Scribner’s Monthly. Bishop left the university presidency when appointed adjutant general of the state. He ran unsuccessfully for governor in 1875 and was later author of Loyalty on the Frontier. Personal: Bishop was born to Calvin and Emily Webb Bishop in Alden, N.Y. on Jan. 8, 1832. He married Maria L. Woodard, who died in 1860. He married Kate Compton of Little Rock in 1871. He died Nov. 29, 1901, at Buffalo, N.Y.